HÀ NỘI — The capital city of Hà Nội has launched a development plan for support industries during the period 2017-20 with a vision to 2025 to promote development of enterprises within the industry. According to the Hà Nội Department of Industry and Trade, the plan will focus on developing three key areas, including production of parts, auxiliaries for hi-tech products, along with the garment, textile and footwear industries. The city will develop support programmes that match the ability of enterprises, requirements of multinational corporations, and that meet international standards in the field of support industries. It will also develop enterprises in the support industry, reaching international standards in production management and product quality. The plan will establish production systems with connections among suppliers and multinational corporations, foreign enterprises, producers in Hà Nội, and other places nationwide. Hà Nội will promote supplies in the key northern economic region, especially among industries having high demand for auxiliary products. These include automobile and motorbike production in Hà Nội, Vĩnh Phúc, Bắc Giang and Hải Phòng; mechanical products in Hà Nội, Vĩnh Phúc, Thái Nguyên and Hải Phòng; and mobile phones in Bắc Ninh, Thái Nguyên and Vĩnh Phúc. To assure the plan is successful, the city will continue to offer more efficient support for enterprises and link Vietnamese enterprises with foreign businesses. The city will also seek investments for the parts supply industry, supporting enterprises in human resources development and technology transfers, reforming administrative procedures, and improving the investment environment. 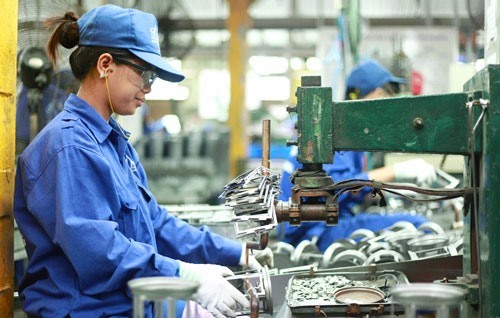 Currently, Việt Nam is home to about 0.3 per cent of the approximately 500,000 enterprises operating in the parts supply industry, including 200 enterprises in Hà Nội. According to experts, the parts supply industry has not developed as expected due to poor awareness about the industry, lack of capital and technology, and low investment.